Tamron has announced the development of a 150-600mm F5-6.3 zoom lens for full-frame and APS-C sensor cameras. It will feature 20 elements in 13 groups and have a minimum focus distance of 2.7m. Tamron will also include VC (Vibration Compensation) image stabilization and USD (Ultrasonic Silent Drive) technologies. The lens will be developed for Canon, Nikon, and Sony mounts. Pricing and availability are still to be announced. 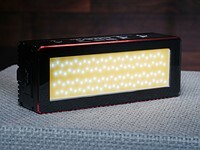 Cutting-edge eBAND Coating*¹ and three LD (Low Dispersion) glass elements deliver superior imaging performance, while the latest built-in VC (Vibration Compensation)*² system broadens users’ horizons in achieving sharper handheld photographs. November 7, 2013, Saitama, Japan - Tamron Co., Ltd. (President & CEO: Morio Ono), a leading manufacturer of precision optics, has announced the development of an innovative ultra-telephoto zoom lens with a focal length range of 150mm to 600mm for full-frame and APS-C format DSLR cameras. The lens sample will be on display in showcase at the Tamron booth at the Salon de la Photo 2013 which will be held from November 7 to 11 in Paris, France. This all-new ultra-telephoto zoom lens features VC (Vibration Compensation)*² image stabilization, speedy, precise USD (Ultrasonic Silent Drive)*³, state-of-the-art eBAND (Extended Bandwidth & Angular-Dependency) Coating*¹, which significantly reduces the unwanted light reflections that cause flare and ghosting, and, in addition a sophisticated and stylish new external finish. The focal length range of this lens was extended by 50mm on the wide-angle side and 100mm on the telephoto side compared to the existing model (Model A08), making it possible to take even more striking photographs of birds, wildlife, sports, and other distant subjects. Mounted on APS-C DSLR cameras, it has a stunning equivalent focal length range of 233mm to 930mm, almost to 1000mm. Employing 20 elements in 13 groups and boasting an advanced optical design, it delivers a superior balance of resolution and contrast for sharp, clear images. 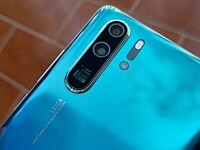 The front group contains three LD (Low Dispersion) glass elements (two in the first group, one in the third) for enhanced optical correction effectiveness, enabling the lens to thoroughly compensate for on-axis aberrations at the telephoto end. The lens also adopts eBAND Coating*¹, developed from state-of-the-art coating technologies, and conventional BBAR(Broad-Band Anti-Reflection) Coating to greatly suppress ghosting and flare even when shooting under adverse lighting conditions. Tamron’s proprietary VC (Vibration Compensation) image stabilization system uses a three-coil system, delivering significantly sharper images and creating greater opportunities for handheld ultra-telephoto photography. 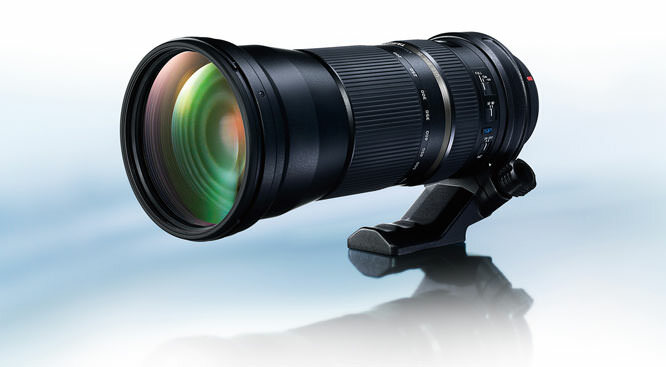 Tamron’s new SP 150-600mm F/5-6.3 Di VC USD features a USD (Ultrasonic Silent Drive) ultrasonic motor drive*³ for swift and accurate AF response, it delivers high torque, very fast response times, and very low noise. The full-time manual focus mechanism allows users to make fine manual focus adjustments at any time even when AF is engaged. Tamron has upgraded the cosmetic design and finish of this lens to create a more sophisticated, high-end look in keeping with the demands of discerning full-frame DSLR users. Employing a sophisticated linear pattern rubber grip on the zoom and focus rings and an attractive and stylish tungsten silver name-brand ring, this newly designed model accentuates its visceral presence with understated elegance and class. The SILKYPIX Developer Studio for Tamron provides a range of functions, in addition to the basic adjustment capabilities, such as correcting aberrations (chromatic aberrations of magnification, distortion, peripheral light fall-off), based on the optical data. Used in tandem with Tamron’s SP series lenses - renowned for their high-depiction capability - this advanced technology efficiently produces images that meet photographers’ most exacting demands. 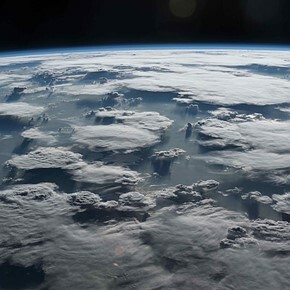 *1 The eBAND (Extended Bandwidth & Angular-Dependency) Coating is a new nanotechnology-based coating technique developed by Tamron to reduce unwanted reflection. *2 VC (Vibration Compensation) is Tamron's proprietary image stabilization mechanism. *3 USD (Ultrasonic Silent Drive) is Tamron's proprietary ring-type ultrasonic motor. Does this beastie take canon teleconverters?? I'm assuming that the lens does internal zooming and that the lens doesn't extend outwards? Can anyone confirm this? Price to this lens will be $1069 in the U.S.
One question I have, and I think I know the answer to is if Nikon TC-20E III will work with this lens. I believe it will not. So now will have to buy the Tamron TC (probably the 1.4x). In the end, it is all about sharpness and performance. Can this lens deliver? for me AF speed and accuracy are very important. also I would like to have good service, haven't used Tamron for years since they shut down a shop near my place. Does f/6.s mean that no AF tracking will work on any DSLR because only central AF point will work with this lens, and on some DSLRs even that central point will not work? 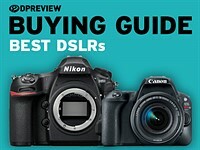 The f/5.6 specification advertised for most DSLRs is *not* a hard limit, at all. An f/5.6 lens will give you a good AF experience in most conditions, so that's where they drew the line in the sand. The difference in AF reliability between f/5.6 and f/6.3 really isn't noticeable. Poor light, poor subject contrast, and smaller apertures all increase the likelyhood that AF won't be reliable (i.e. it'll repeatedly hunt instead of locking on). You can have problems focusing on a clear, featureless sky with an f/1.4 in broad daylight, due to lack of contrast. You can have problems focusing with that same f/1.4 in candlelight. You can get autofocus lock-on in good conditions way out to f/10 (I've done it with a Celestron C5 + AF confirm chip) and it's even worked a couple times for me at f/13 (an f/6.3 with a 2X teleconverter). 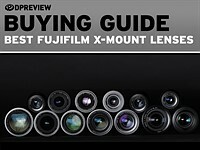 Be nice when Tamron and Tokina finally decide to start making mounts for other brands than Nikon, Canon and Sony Alpha. Going by Tamron's recent pricing logic (see their new 70-200/2.8), the likely price for this lens is going to be $3000. Why 3 times the price of the current 200-500? Because of the the added stabilization and range. the extra reach should be worth about the same as between a 500/4 and 600/4. don't know about stabilizer which could be a problem for service (make the lens less reliable). price difference between 500/4 and 600/4 is about 1.2 street, which is quite small (as compared to weight ratio 1.3 and aperture area 1.44). the weight ratio between 200-500 and 150-600 is 1.6. this should also count added complexity for wider zoom range and may be a better guess. Given Bigma's decent reputation, you'd have to think that it would be wise to stay within say 10-20% of it, justified by the extra reach. Unless the Tamron is just spectacular from a IQ standpoint, it would seem hard to justify more than say $1799. So much for what you know. The price is $1069 in the U.S. I hope the rumors about this lens being 1,500$ is not true, DNT get me wrong of course we all like to save cash but if this tamron could have at least the same optical performance as the good ole' canon 100-400 or better yet the 400mm f/5.6 I would pay even up to 3,000$ I just hope this lens performance isn't as bad as the tamron 200-500 (no offense 200-500 users but I used to own that lens and the canon alternatives are defitnely optically better) I've even tried the new nikon 80-400 while its good to very good from 80-300mm, at 400mm it's noticeably worse then the canon 100-400 :-( plz tamron give us an optically nice lens pretty pls?........plz? What it comes down to for me is the 1.5 lbs more that the 150-600 weighs over my 400 5.6L. How much difference in IQ and reach and how well the VC works for hand holding. 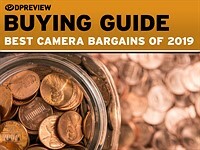 If Tamron is less than $2K, I'm willing to buy one and find out. Why Canon hasn't stabilized the 400 5.6L is beyond me. The old tamrom 200-500 was very sharp at 500 with a tripod. Didn't get because I need vr and don't walk around with a tripod. The 70-200 VC I play with is excellent. 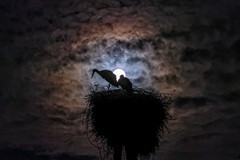 I would image this be a great telephoto for the price. Tamron glasses to most people eyes are as good as 1st party. I bought a like-new used Tamron 200-500 from Adorama quite a while back and have been pleasantly surprised at the very good IQ and easy, light weight handing of such a long lens. I often hand hold it quite easily. If this new lens with the added range and VC continue in the tradition of the 200-500, it should be winner, especially if it is as great a bargain as the 200-500 is. Will see how it compares against the Sigma 50-500 OS. From what I have read the Sigma isn't quite 500mm (around 480mm) so I wonder if this will also be true about this lens? I really like my Sigma so it will need to be at least as sharp to even consider it. Oh being a F6.3 wont hurt focus at all. I used my original non OS sigma which is F6.3 on a D30 yes D30 not 30D a 10D and then a few 1 series bodies with no problem with any of them. So being F6.3 is a non issue for focus. Just forget about adding a 1.4 tele converter to it.Now I use the latest sigma 50-500OS on a Nikon D800 and it works quite well. Sigma @500mm is a tad soft to me. Tamron should be better there. I think my Tamron 200-500 is a sharp lens when I have light. It's not a fast lens but for the money it's a great value. I wish the new one was a little faster but I guess more range is a fair trade-off. The price will determine that, anyway. The 6.3 is only a third of a stop difference, I owned the Tamron 200-500mm and it also had 6.3 at the long end, it focused fine on my Canon 20D and later 7D. I sold it in anticipation of Tamron coming out with a VC version. agreed Mike.. had the Tamron 200-500 as well and it was pretty good for the what it was - a $600 amateur big reach lens. Have to admit - if you are serious at all about long lens photography - just save save save and buy a high end lens - it will make all the difference.... my 80-400 Nikon is simply amazing... cost nearly $2600 - but in the end - the photos I am taking are MUCH better than what I could get from my cheap Tamron. My Tamron 200-500 focuses just fine on my Sony A65. Sigma's affordable long tele zooms are all 6.3 on the long end, and they have no problems on any DSLR's going back to the digital rebel and even the old film SLRs had no issues. They simply report that the stop is 5.6. That would be good news. My Tamron 28-300 mm VC (a measly superzoom compared to your Tamron teles, of course) focusses not that well at 300mm and f6.3, particularly in less than optimal light. Often I have to zoom to 200mm to pre-focus, and then zoom in to 300mm to make it work. This might be one reason for its less than optimal sharpness at its telephoto end. I look forward to the reviews! Agreed. I have never heard a Canon pro that had tried the 100-400 and was happy with it wide open at the long end. Not saying they aren't out there, just haven't met one. Know one that recently sold his because he said it was softer than just using his 70-200 2.8 with 2x, or even just cropping 200mm shot. Interesting to read that Park Cameras have a pre-order facility that shows a price of £2,500. Rather more than I had hoped for, but I wonder how accurate this is? Very, I am not even sure Tamron has decided the price yet, since they would probably only know once they start production. So some sellers who offer pre-order will put a high enough price and drop it before shipment. Tamron 200-500/5-6.3 may be used as a good reference: (600/500)^2 * 950 = 1400 US (price in 2013 + 9 years). may start as high as USD 2100, just a casual guess. They tried to sell their latest 105 macro at £999 in the UK. It now goes for £499 or less. Not saying that guarantees that Park Cameras price will see similar % drop but I can't see them shifting that many at £2.5K. Tamron does not have a 105mm macro lens! Sorry I ment the 90mm VC. Got confused with the Sigma 105 I bought instead. The 90 started out at £999 and is now £499 or less depending on mount. The latest 70-200 f/2.8 from Tamron was a mediocre attempt to beat the very best in its class despite the company's resounding statement for a class leading product ... it was not ... at 200mm wide open the performance of the lens was quite unflattering in all my test, a finding confirmed in many other tests. I really hope that this time Tamron will do it right .. after all what is the point to have a massive 600mm if the result is disappointing !? awaiting with moderate optimism . Frankly, I'd give up some mm on both ends if they could make a faster super tele zoom. Oh, and keep it for crop sensors. We still don't have fast super telezooms for crop which would probably make them cheaper and lighter. Maybe Sigma will understand the market hole(as they occasionally do) and act to fill it. Right now I doubt the Tamron will be as good and cost effective to become a serious success for serious photogs. feels more in line like the old tactics of shoving larger unusable focal lengths to catch press attention. 200-500 f/4 sounds a little better even if you can't upgrade with it to FF. Heck, why doesn't anyone make a crop fast prime? A sharp 2.8 300 for crop will get my money and probably a lot of others'. Rant rant rant. Sure do hope I'm wrong. At the long end the lens speed dominates the size of the lens - from about 100mm onwards the image circle is so big that it can more than cover a full frame sensor. For a smaller sensor you would need to add additional internal baffling to reduce stray light entering the mirror chamber of the camera. Telephoto lenses neither get cheaper nor do they get lighter for crop sensors! Most could not afford a 200-500mm F4 and the size and weight would be huge. My guess is that this lens will sell in the $1500-$2300 range and the quality will be decent and the focus speed much better than their old model, I don't think Tamron would invest in this as a loser. 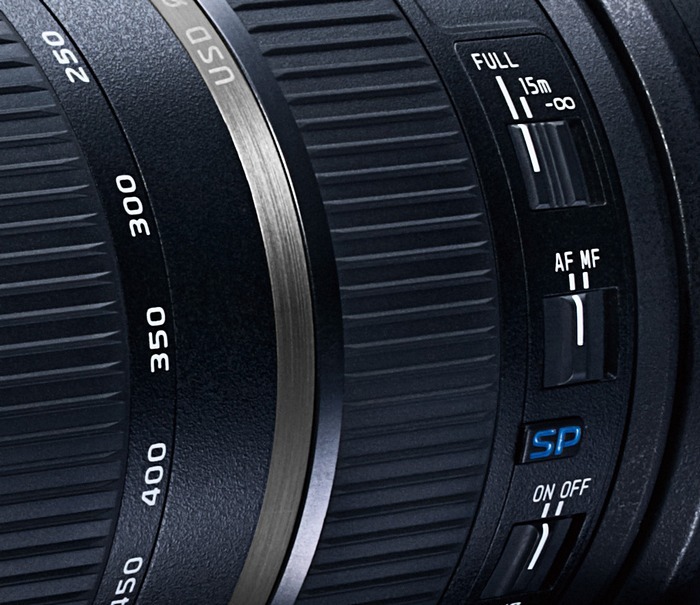 The lens you are talking about would be in the $8,000 range at a minimum even from Sigma. ok, so give me a fast equivalent! I'm not asking a 2.8(ok,I am, but I don't pray for it) but a sharp 400 f/4 is enough for me. And though I'm not an expert on optical design (as in, I don't know squat) I do know that lens speed is dependent on the final image circle(as evident in the existence of the Metabones speed booster). So I just make the equation as 1+1=give me a fast super telephoto for crop! Sigma kinda already did recognize that market hole with the quite good 120-300 2.8. If you want it to be a 400 f4, add a good 1.4x and it's a 170-420 f4. They also used to make the well reviewed 100-300 f4, but discontinued as opposed to modernizing with OS, which is a shame because as compelling as the 2.8 version is, $3600 is pretty steep even if it is a reasonable price for that lens. 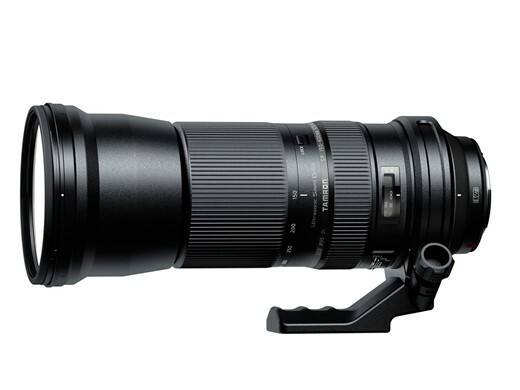 I wonder how the Sigma 120-300mm f2.8 with a 2x teleconverter (260-600mm f5.6) would compare to the Tamron 150-600mm VC. However, this definitely is the heaiver and also more costly solution. they do not mention the # of stops gained with the VC. Given that they had a copy at the Paris show and have announced most of the specs, I don't think this will be a 20 year wait. This is beyond the rumor stage. I have a Tamron SP 300 mm f/2.8. It is bitingly sharp wide open and remains very sharp with the x2 tele converter. That lens best the 80-200 f/2.8 L from Canon of my friend. So Tamron has shown they know how to do it and chances are this lens will be very sharp. Can't wait to see a detailed review. For me this would be ideal for dragon boat races, he he. How many stops does this lens can achieve in VC mode? I've compared the mtf curves for the Sigma 50/150-500, Canon 100-400L and Tamron 150-600 and the Tammy overall looks better than all of them. If this holds up in real world it might be a veritable bargain. Thank you for your coverage of an item that does not exist and that may be available ... when? ...2020? 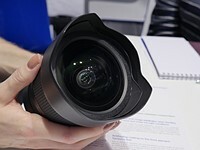 The lads at DPR should have no trouble shooting handheld for long periods with this lens. They must have very broad shoulders because whenever they post anything it seems someone wants to take a shot at them. Ohh, it is too much for me to want reviews of items I can actually look at or buy? For it to be useful, it has to be sharp wide open at the long end on high pixel density sensors. If it isn't you might be better off with a sharp 400/5.6 and upresing. If it is, it could be a game changer. How's that 400/5.6 perform at 200mm? Your opinion only stands with a teeny tiny narrow viewpoint that this 4x zoom is no more useful than a 600/6.3. My 100-400 performs well at all focal lengths. So does my 70-200 and 2x. This seems like it would be perfectly paired with the new Pentax K-3 for birders and the like, why do you figure they wouldn't bother with a K-mount version? They will probably eventually make a Pentax version but Pentax has such a small market that users will always have fewer choices. If you want every thing to be available for your camera you have to shoot Canon or Nikon. That's not a judgement just economics. hope Tamron can provide similar service as Sigma to change lens mount that some stores may provide a Pentax version at a higher price (+250 dollars). based on the lens road map, Pentax will release 135-400mm next year. it's equivalent to 200-600mm in FF. Oh my I am going to need more money. 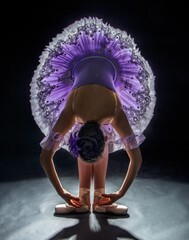 This is cool.....but i would rather buy a sigma 120-300 f2.8 and slap on a 2X extender. That's exactly what I have :) first version OS and it is an awesome awesome combo!! I am a big fan of the Sigma 120-300 f2.8. I have not been able to try the newer version (only the older one without weather sealing and without stabilization). The problem with the idea you suggested is not the Sigma lens but the very poor Sigma TC. I tried it and thought something was wrong since most every shot seemed soft. But I later saw someone do a more careful comparison between the Sigma 50-500mm OS and the Sigma 120-300mm f2.8 with Sigma's 2x TC (all were the newest version). With both set to 500mm the much cheaper Sigma 50-500 was ALOT sharper. I strongly suspect the the Tamron 150-600mm will also be sharper then the 120-300 +TC. TC degrades IQ, especially 2x TC. Have you ever used Sigmas 2x extender ? I have and it's not good. Don't get me wrong I am not one of those brandsfags and do like Sigma but that extender is a joke. I don't think the 2x is that bad. I have the DG OS EX (non sport) Here is a real world sample. It gets better stopped down and I noticed a touch of front focus which I have since tuned. I have had it for 3 weeks. It's pretty awesome with a 1.4x TC..
my ever growing flickr set with some test shots.. I have had both Sigma 120-300/2.8 and Sigm 150-500/5-6.3 OS HSM and I also thougt tht 120-300 with extender was a good idea, but have now definitely changed my mind. My guess is that you will come to the same conclusion if you try it in real life. Have you done that? 120-300/2.8 is very heavy and does not work handheld in my opinion. I Always used it with a monopod. 150-500 on the other hand is great to carry in the woods for handheld photography. Unfortuntely the Sigma 150-500 is not very good at long end fully open and the Sigma 2x converter also degrades IQ pretty heavily, so none of them are great alternatives for me at least. However, this new Tammy seems rather perfect! The MTF indicates quite bit better performance than the Sigma 150-500 and about the same or better than the Nikon/Sony/Canon 80/70/100-400 zooms, but gives an extra reach of 200 mm, which is awesome! This lens is bit more compact than the Sigma 150-500. It is tiny bit fatter, but shorter since it does not extrude that much when zooming. It also looks very solid and Tamron's VC and USD technology is great. And above all, it weighs under 2 kg, the same as Sigm 150-500 which is more than 1 kg less than Sigma 120-300!!! I now have the Tamron 70-300/4-5.6 SP VC USD and it is really great, so I have high hopes for this new lens. This lens fills hole and there is actually nothing like it. I guess it will be a real success. Only alternatives except from the above are the manufacturers own 500/4 or 200-400/4 with a converter, but then it becomes consideraly more expensive and out of reach for many enthusiasts and also much heavier over the point when it works handheld. This is a perfect compromise! It will be huge sucess! I will definitely buy on (unless Sigma announces something similar, hich will lead to a re-evaluation of course). this 150-600 at 600/6.3 on a 35mm format sensor will work almost the same as a 200-400 at 400/4 on APS-C (= 640/6.4 equiv.). so it'll be a great lens even with relatively lower resolution. 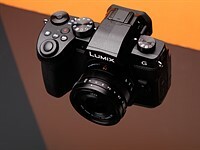 ... as well as relatively low frame rate of 5D3 and D600. Tamron at least claims fast-focus for the lens. Awesome, totally have my vote here!!! This 3rd party things are kicking butts, seriously. Please make it sharp at 600mm Tamron! I honestly doubt it will be sharper or even equal to Canon 400 f/5.6+1.4TC. Though I surely wish it would be! wow... from the MTF chart it looks like it's optimized for 600mm. Now that can be interesting! Canon 400 + 1.4 TC will result in 560/8 which will have AF-issues. This Tamron will be almost one stop brighter and have more reach. My guess is also that the image quality definitely will be at least on par with the Canon combo. Tamron posted MTF charts on their Europe site. Any comments?? can't tell if its good or bad, anyone? According to their MTF this should be $12K (if it was Canon or Nikon) lens especially at F8. Sharpness looks very good but contrast drops as you move away from the centre. Shood: This is a telephoto lens, the way these are used puts the subject almost always in the center of the frame so loss of contrast on sides is not even remotely important in supertele world as it is in wide and normal lenses. What no Pentax Q mount? I want to shoot it at 2800mm hand held. Seriously , it looks great! Can't wait to see some reviews. If Tamron leaves the VC off this lens as they have their 18-270 PZD for Sony mounts I am through with their company forever! Otherwise, it is definitely on my wish list. The only real reason why you would want the VC system in the Alpha mount is for adapting the lens for AF use on NEX cameras which would be really cool given the new A7/A7r. viewfnder stabilization is sure handy with telephotos, no matter how good in body IS is getting. Its a pain that they don't include it anyway and allow the body to enable and disable it. I understand your frustration since in lens 'VC' is more effective then in camera on longer lenses. But I do not believe Sony has a provision for picking which stabilization to use. Until they make the in camera automatically shut itself off when it detects (or is told) about in lens, the lens makers have little choice but to ship their Sony lenses without stabilization. Bjorn_L :"Until they make the in camera automatically shut itself off when it detects (or is told) about in lens, the lens makers have little choice but to ship their Sony lenses without stabilization." Not true. I have the Sigma F2.8 105 DG HSM OS macro lens in Sony mount and the the OS is NOT disabled. It works. Having tried it I prefer in-body IS. Maybe I wouldn't with a 600mm lens. As to people complaining about Tamron taking it out and charging the same well my guess is they don't take it out but just disable it. Taking the lens elements out that controls the stabilization would mean they were making a different lens optically for Sony so that would increase production costs. So it will cost the same to build the Sony version as it does the others. It does seem stupid to disable it but for me if the price is right I will by the lens because it is what it is. The fact the other versions have OS is of no interest to me as they won't fit on my camera. Actually its a myth that in lens IS is better than body IS for telephoto lenses. In many cases body IS can match or even exceed lens based IS on telephoto lenses. One real advantage is however a stabilized viewfinder which is pretty useful for telephoto lenses though I would prefer to use at least a monopod with this 2 kg lens. Dave Oddie: I said 'automatically'. I know it is possible to disable in camera and in lens and to switch back and forth as the mood strikes you. But not everyone will remember. 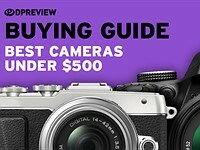 I suspect this will lead to grumpy customers, possible returns, and generally add either a mild to severe cost for Tamron with no real payoff for including it. Remember due to Sony's rather distant position in marketshare added costs are a problem. I know first hand how easy it is to forget. I was playing with an older Sony (optical viewfinder) and a Sigma 150-500mm OS owned by a friend. I've owned in camera and in lens. For shorter FL's, there is no difference except for the lack of a stabilized viewfnder. For longer FLs in lens is more effective. I wish Nikon or Canon would add in camera to compliment in lens since they seem to have no inclination to stabilize their fast (low light) primes. Ah well, nothings perfect. Hopefully Tamron will work it like the Sigma 50-500 OS is works great on A77 and A 99 handholding with the SS on in Body and the Lens set to OS position 2 it's a great Combination , Sigma adds on their site that OS is not available on Alpha but it IS and the Alpha body does not disable SS when the lens OS is turned on. Tamron would be way off if they do not offer VC on Alpha with the new A7 and A7 r as well as all the Nex users. How VC is used should be up to the end user. 240-960mm equiv on Canon 1.6x. Pretty amazing. Really looking forward to it. I've got the 17-50 SP 2.8 and also the 70-300 VC and love them both. Been thinking of getting the bigma but now I have a choice in the lower cost market. Hi, I have same Tamron lenses and like you, very impressed. Now upgrading from D7000 to D7100. With the latter's 1.3X cropping, and this new Tamron lens, it will be great for my forthcoming East Africa safari! 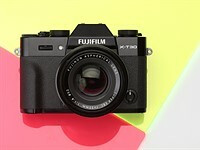 I wonder if it will work with Nikon V1 and FT-1 Adapter?!... That would be great, the MTF chart is already sharp enought for APS-C body. this should be the kit lens for the Nikon DF. sorry i got caught up in the hype. i have had great success with tamron and VC. i cant wait to see this in the local shop and give it a try. i wonder if the VC will be enough to hand hold this beast at 600? anyone want to guess how long this lens will be when racked out to 600? and how much is a 95 mm polarizer? rhetorical. please dont answer. Who wants to hand-hold a 5-6lb camera lens set-up? Pity the lens has to be that heavy, but it's almost solid glass inside. As someone who hand holds a 600/4... me. I want to hand hold a 5-6lb camera/lens setup. I hand hold my sigma 120-300 on the d300 about 8-9 pounds all day long and with the 2x etc tc and I can get pretty sharp shots at 1/100th as long as my bird doesn't move..
4.3lbs is incredibly light for a 600mm lens. If Tamron's latest 24-70mm is any indication of quality, this may be a great lens for its price range. It's a bit slow for fast action photography, but I'd definitely consider it for field videography if I wasn't already heavily invested in Sigma zooms. Another person who think that normal human being cannot hold anything heavier than 1 kg? That gets boring. if AF is fast and accurate and it's as sharp or sharper than this and at around 1.5k, i'm sold. great shots. i'm not sure vs is a fair way to describe what happened to the mr rabbit. Snooped around a little in FlickR — wow! Kris in CT had some of the better birding shots i had seen in a while. isnt that why we put them out there. If the optics are as good as the tamron 200-500, I'm sold. The extra reach is priceless for wildlife. The only thing wrong with the 200-500 is that it lacked VC. So adding another 20% reach and VC makes this an almost guaranteed winner. And then... the price comes. The older Tamron also suffered from mediocre AF performance. Hopefully with the new USD motor Tamron would resolve even that issue. It's the FF equivalent of the APS-C usage of a 200-400 mm f/4 lens. Is this a telescoping zoom?? Looks far too compact for a 600mm. "Ingenious optical design features minimize the movement of lens groups within the lens when zooming. This reduces the amount of barrel extension needed to cover the complete focusing range, making the entire lens more compact." So in a word - yes. Well this could be on list. I have Sony 70-300G and 500mm mirror lens and while the latter is AF it is often too slow to focus for wildlife and is only good for static shots and the G lacks the reach. It will depend on price, focusing speed and IQ at 600mm wide open (you don't buy lenses like this for IQ at 150mm @ F8). I see a lot of long range zooms seem to tail off IQ-wise at the long end and if this lens bucks the trend I can see it selling well. You can tell all that from looking at one photo? Someone better get you on the design team, stat! I bet they hadn't even thought of that. "I bet they hadn't even thought of that." You'd be surprised how may lenses have inadequate tripod collar. "You can tell all that from looking at one photo?" I don't think anyone can say for sure without trying it, but looking at it, along with its specs is certainly cause to be a little suspicious. I hope this isn't a plastic passion like the Panasonic 100-300 (200-600 equivalent) I have. If you want superb construction then you pay for the $5000+ options from Canon/Nikon. This is filling the lower priced supertele niche. Great Going Tamron! Looking forward to it. 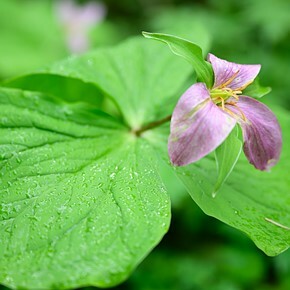 I do not understand why Tamron does not produce more new lens for Pentax. I wish I knew ....I'm sorry for my friends that use Pentax! Look at the market share of pentax. 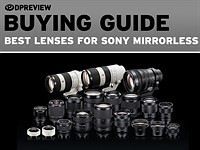 third party lens manufacturers? no maker likes them. The first answer is correct (Look at the market share of pentax.). 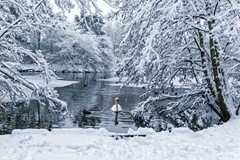 I've had confirmation from Pentax users who are informed at the same Tamron. Most of people who will buy an expensive lens, are using FF cameras. Since there is no Pentax FF, the market demand for a Pentax version might be very low. I bet that this doesn't come in Pentax mount because it will be released later as a DA lens. Pentax only has a 100-400 something on the roadmap. It's Tokina, not Tamron who Pentax has a relationship with. They don't even have a relationship with Tokina anymore. Ricoh bought Pentax from Hoya, which owns Tokina. So they aren't under the same umbrella anymore. tkbslc - as far as I'm aware Tokin made lenses with Pentax even before Hoya bought it. nice. does this have a AF focus limiter? 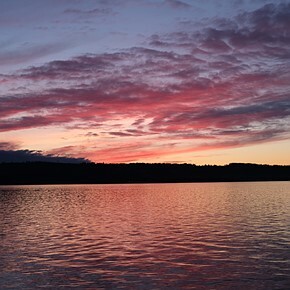 if the AF is fast and accurate and images sharp, the slow aperture would not be much of an issue. Here is a better picture showing the focusing limits. If only it had a short range limiter. "If only it had a short range limiter." ... YES ! 15meters is a little bit to much for small birds. This is an interesting news. 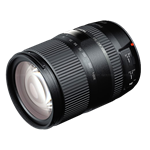 Tamron and sigma give a good run for the money to the big name companies such canikon. If this lens is as good as their 70-300 VC USD which I have no doubts about, then it will find lot of new happy owners including myself. Of course the price has to be right. The aperture is only 1/3 step slower than usual 5.6 so it is irrelevant to me. Tamron has announced the addition of profiles for two of its lenses to Adobe Camera Raw. The Tamron SP 150-600mm F/5-6.3 Di VC USD for Nikon mount and the 16-300mm F/3.5-6.3 Di II VC PZD Macro for both Canon and Nikon mount have been profiled for use with Adobe's tools for lens aberration correction for users of Adobe Photoshop CC, Adobe Photoshop CS6, Adobe Camera Raw and Lightroom 5.